Nawroz is a Persian word (“naw” means “new” and “roz” means day). For Kurds and Iranians, Nawroz is the beginning of the new year. It falls on March 21, the first day of spring. It’s not easy to find the exact root of this day, there are many stories about it, but it’s really hard to confirm them. Some stories are just ancient tales. Kurds, Persians and Afghans celebrate Nawroz and each look at it as their national day, but Kurds look at it as independence day and the historical day for our “big victory.” From many theories about [the origin of] Nawroz, these three are reasonable! 1. Some believe Nawroz’s root goes back to the Persian fire worshippers [Zoroastrianism]. Opening a fire and dancing and singing around it was just one form of their worship of fire. From them, this practice came to us. 2. It is just the sign for the new season (spring), and people celebrate it because the snow and winter will end and the weather will start to warm up. People don’t have to remain in their homes anymore, and they open the fire on the mountain to show that the snow is going to melt. 3. The Kurdish version of Nawroz is that there was a tyrant named Zuhak who wanted to end the Kurds and genocide them. Historical storytellers say that Zuhak got sick and two snakes came onto his two shoulders and refused to eat anything except human brains. So Zuhak, to spare his own brain, had to slaughter two youths every day and give their brains to the snakes. Of course, he chose to sacrifice Kurds, and his gardener would bring two Kurdish heads for him every day. This went on for awhile. Kawa agreed, and they marched toward Zuhak’s castle. When they reached the gate Kawa broke the lock and opened the gate. When Zuhak’s guards saw that, they started to flee. No one stayed to defend Zuhak, so Kawa and his people went inside and brought Zuhak out. And they got rid of him. Now they needed to inform people and give them the glad tidings that none of their sons would be taken anymore, but how could they tell the people? There was no radio at that time, no TV, no phone, no newspapers…so they went to the top of the highest mountain or hill and opened a fire. Then to inform people that this fire was the sign of happiness, they started dancing and singing around it. Many people saw them and got the message. Since then, this day has been the beginning of the Kurdish year*, and Kurds look at this day as independence day and celebrate their victory by opening a fire on the highest place they can reach, and by singing patriotic songs and dancing Kurdish dances around the fire. This is the most accurate narration about Nawroz (without the snakes story), and the only one that is acceptable to Kurds. This is why Kurds still celebrate Nawroz: we look at it as our national day for independence. For us, there were many reasons to celebrate Nawroz, but certainly none of them had anything to do with religion or any action of worship. For us it is the day of freedom, the history of justice, and the nation’s victory. We are Kurds, we still exist, and we have a history. No one can end us. No matter how much they kill and disappear us—we are Kawa’s nation and a dictator’s end will be the same as Zuhak’s. [In my experience,] the dictator [Saddam] understood this, and that’s why [the army] used to prevent us from celebrating, and would arrest whoever participated and disappear many of our youth for participating in Nawroz. Then it was changed from a Kurdish holiday to the spring holiday and trees day, to let people celebrate it as the beginning of spring—but we refused! We celebrated it only as Nawroz, Kawa’s victory, and our independence day! Nawroz told us: as long as it will take, and however much winter will be cold and hard, Nawroz will come, and spring is in front of us! And no matter how much our enemy will kill and destroy, Kawa will come, and victory is for us! In the same year, I wrote another poem that was similar to this one, which will be published in my book, Son of Mountains, in the section where I tell one of my Nawroz celebration stories. With the sweet scent of spring. And of living proudly with dignity. For many Kurds, winter is like house arrest: snow and cold weather do not allow them to come out of their houses, especially in the villages in the mountain areas. Patiently they wait for spring, so they can see the nergz and celebrate Nawroz, and for all the Kurds Nawroz is a time to have some fun and let out some of the sadness from the unfairness and the unjust rulers. That’s why everyone waits for Nawroz—to let some stress out, to look at the fire, to smell the nergz, to listen to the patriotic songs. It is the great “stress reliever” and a big inspiration for us about the future. 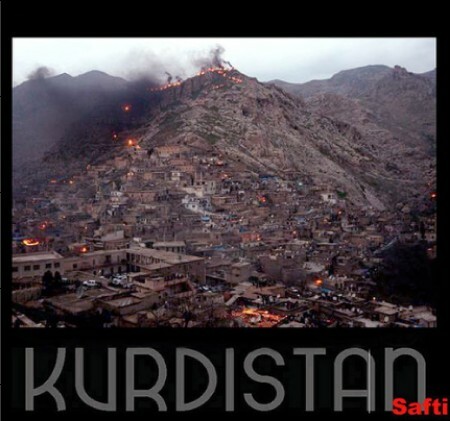 So 2008 is Kurdish year 2620. The first day of spring (and thus Nawroz) in 2008/2620 is March 20.